With overstated track arms, a clean design, and tapering legs this mid century modern chair will be a great addition to your vintage home. This minimalist accent chair is available in grey. 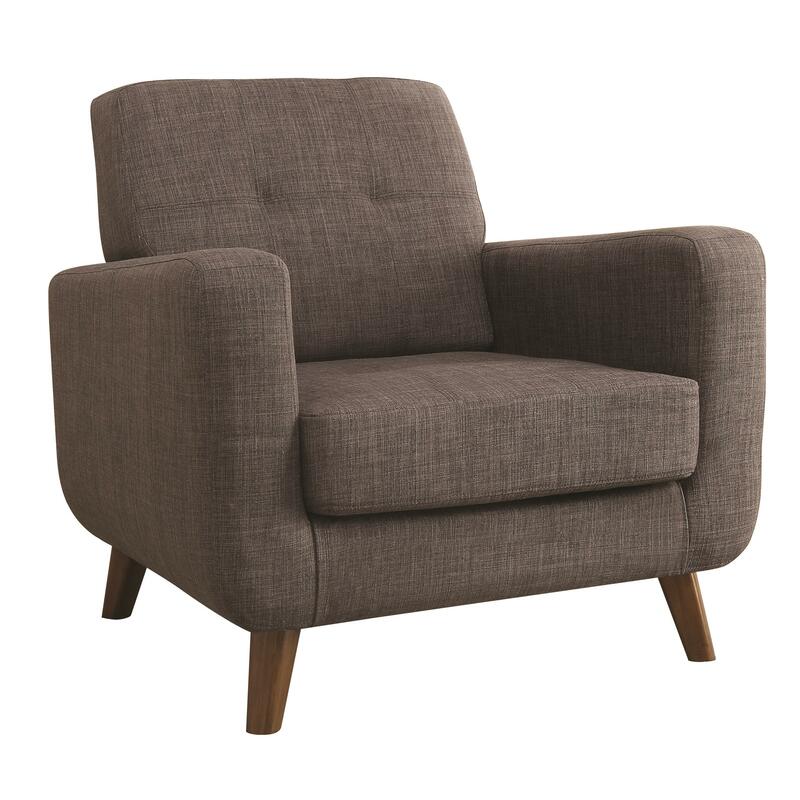 The Accent Seating Mid Century Modern Accent Chair by Rooms Collection Two at Rooms Furniture in the Houston, Sugar Land, Katy, Missouri City, Texas area. Product availability may vary. Contact us for the most current availability on this product. The Accent Seating collection is a great option if you are looking for Mid-Century Modern furniture in the Houston, Sugar Land, Katy, Missouri City, Texas area.